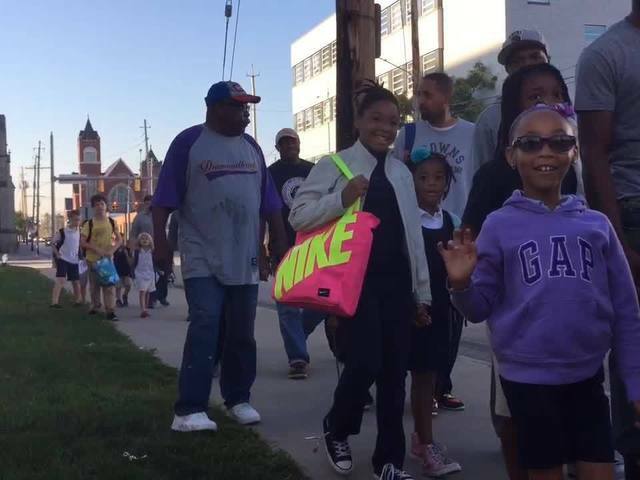 Thursday, Sept. 17 is the annual Father's Walk where dads, grandpas, brothers or male role models are encouraged to walk their students to school. newsnet5.com reporter Nick Foley spotted a line of dads walking their adorable children past the NewsChannel5 station Thursday morning. Did you or your children's father walk your kids to school today? Send your photos to 5pix@newsnet5.com or tweet them @WEWS!